CEMAS: the materials characterization hub for business and academia. 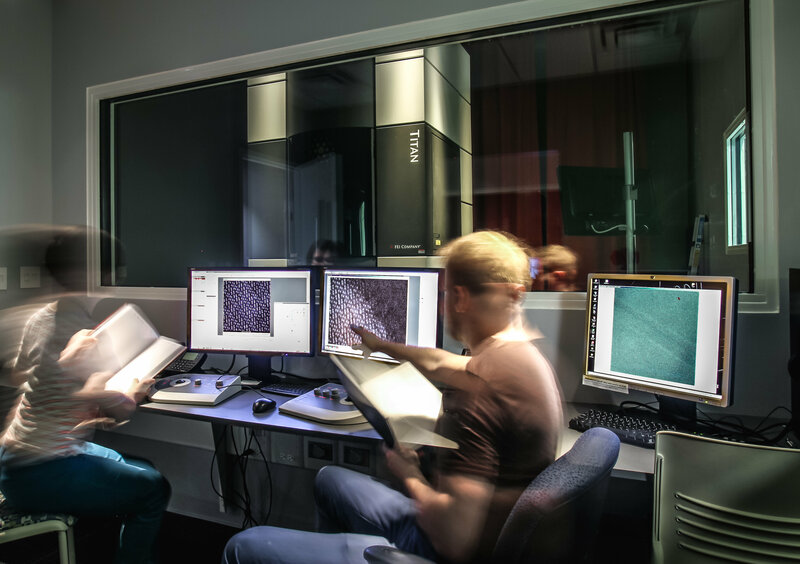 The Center for Electron Microscopy and Analysis (CEMAS) is a centralized, coordinated imaging facility where traditional boundaries between disciplines are eliminated. With one of the largest concentrations of electron and ion beam analytical microscopy instruments in any North American institution, CEMAS brings together multidisciplinary expertise to drive synergy, amplify characterization capabilities, and challenge what is possible in analytical electron microscopy. Our world-class multidisciplinary approach enables academic and business partners to "see more" than ever before. We are challenging the current characterization limitations in medicine, environmental science, energy materials and beyond. Our full-service facility - from extensive sample preparation laboratories to image-processing tools and support - allows researchers to carry out their entire microscopy and analysis program at CEMAS. Located in a custom designed facility on The Ohio State University's West Campus, every instrument in the facility meets or exceeds manufacturer performance specifications. We have ambitious plans to expand the facility to include new instrumentation for which we are currently seeking funds, and to extend our capabilities further into soft and biological materials. We have designed the new environment with this in mind, and potentially have space to accommodate up to four aberration corrected instruments. Includes over $39M in equipment. Housed in a custom-designed environment. Every instrument in the facility is meeting or exceeding manufacturer performance specifications. One of the largest concentrations of electron and ion beam analytical microscopy instruments in any North American institution. Imaging and analytical facilities are complemented by extensive sample preparation facilities. Supported by passionate, highly skilled staff with expertise in all aspects of electron microscopy.